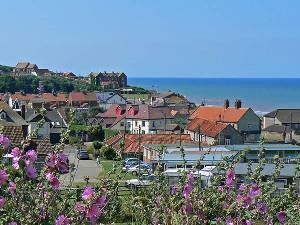 Mundesley VillageMundesley's popularity as a holiday destination dates back to the Victorian age, and its appeal endures precisely because it offers a more traditional holiday. With a parade of brightly-painted beach huts along its front, Mundesley's wide stretches of sandy beach and shallow pools are an ideal playground for children, while sea fishing provides good sport whichever part of the year you choose to visit. Mundesley's popularity as a holiday destination dates back to the Victorian age, and its appeal endures precisely because it offers a more traditional holiday. The village sits in the Norfolk Coast Area of Outstanding Natural Beauty, and is within easy distance of North Walsham, Stalham and the Norfolk Broads. If you enjoy country walks, Mundesley has plenty of footpaths and circular routes. Nearby Southrepps Common is an important area for wildlife. Covering some 12 hectares it is a mixture of woodland, reed grass and wild flowers. A fine nine-hole golf course offers unrivalled views over the coast.